First time I've really had a look at this new model from Ducati. Not really my style but the features on this are quite impressive and something that I haven't seen before on other bikes. 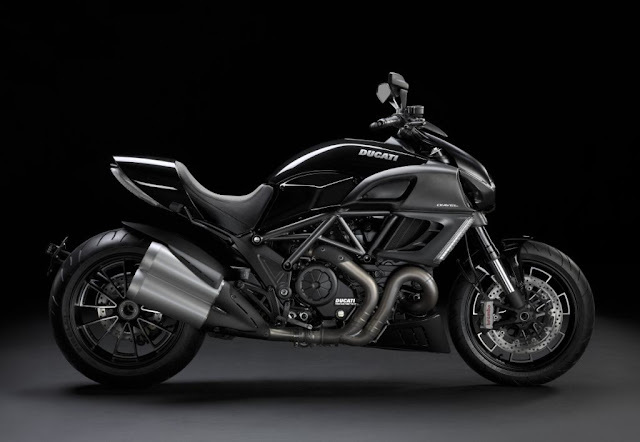 The muscular 1200 mothership from ducati looks like a Giger creation and makes the flagship monster look more like an anorexic care bear. I thought the front end had taken similar design cues from the Buell 1125R. 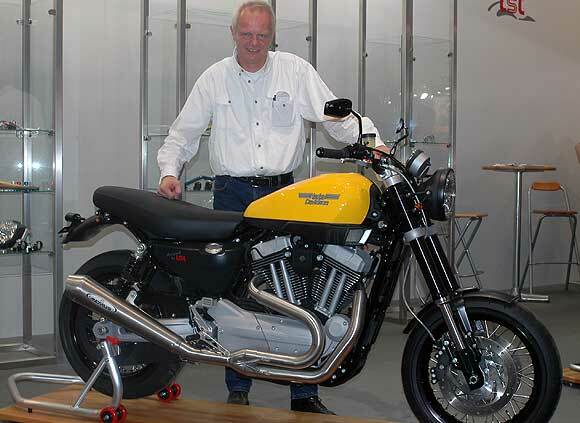 Also reminded me a bit of the Harley Nightrod with the bulky front end. A couple of standout tech features included the handsfree ignition, because using your hands to start the bike is just so much hassel. Overall I think it would make a great tourer, can imaging cruising down the M1 in tour mode, pulling into the service station then loosing my handsfree ignition buzzer, only to realize that I'd put them in my jacket pocket instead of my jeans. However I do think it has the looks only a mother could love, just think it's a bit too bulky. Here are some cool videos though. Ducati Diavel - Director's Cut from Bo Platt on Vimeo. Found these guys called M.M.S a while ago but having another look at their site I noticed a very nice Kawasaki W650. I really like the understated paint job, the rear white wall tyre and the open pipes. Reading the description the owner of this bike was called Mr O a veteran motorcycle rider 81 years of age. 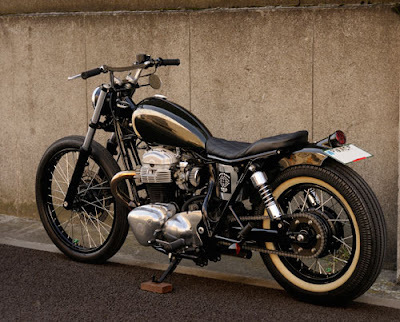 Or it could be an 81 model W650 called Mr O. It's not the first time I've been fooled by Google Translate, but whatever it is it's a beautiful machine. 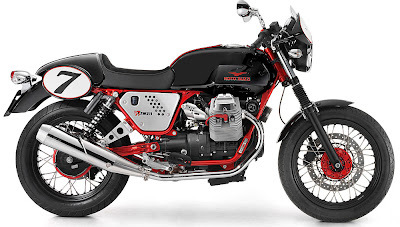 Moto Guzzi has continued along it's retro themed range of the V7 Classic and the V7 Cafe Classic, to release a new model called the V7 Racer. I believe the engine has remained the same however there have been a few more bells and whistles included in the package. 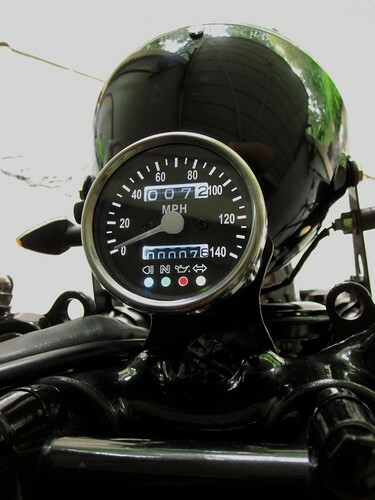 These upgrades include fully adjustable suspension, Bitubo remote reservoir rear shocks, spoked wheels and a Ducati Monster Dark style paint job with the red frame and dark body work. 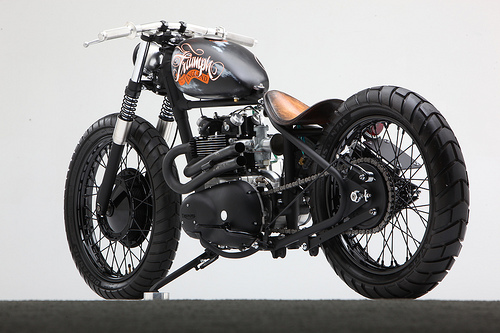 I love what the guys in Deus Bali are doing which is basing most of their builds on the smaller capacity machines. After riding a few different sized bikes over the years I still find the smaller sized machines are just as enjoyable. 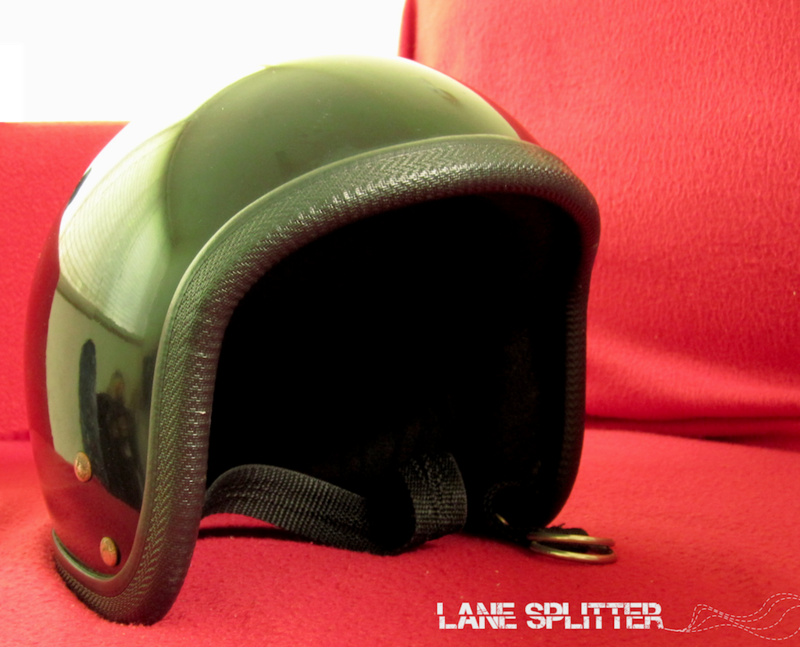 Being able to throw them around, and the fact that they are nimble through traffic makes lane splitting a breeze. I'd prefer to have a smaller bike in the city than a large sports any day. Sports bikes have their place and I still love riding them. But for everyday commuting inner city there's nothing better. 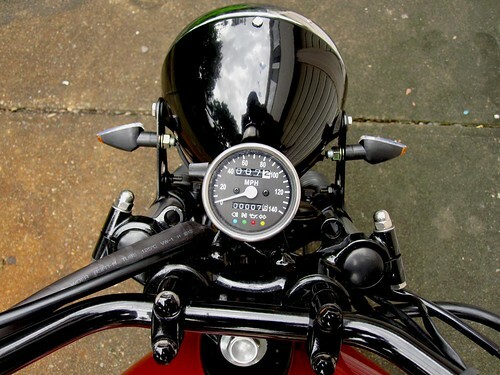 You don't need to go a million miles an hour to have fun on a bike. Here's the latest video from the guys at Deus Bali.. nice work. Deus ex Machina Tiger's Milk II from Deus Bali on Vimeo. 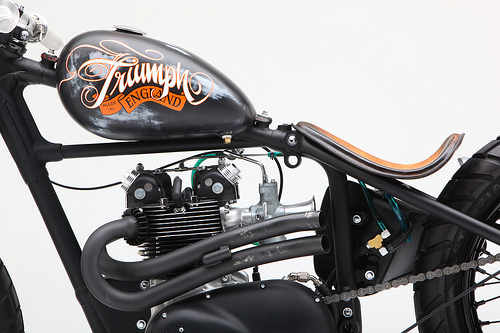 This great looking triumph bobber was built by a crew in New Hampshire called Acme Choppers. Looking through their projects page they've done some fantastic work. Apparently it went to auction on ebay and I'm sure it would have fetched a pretty penny. 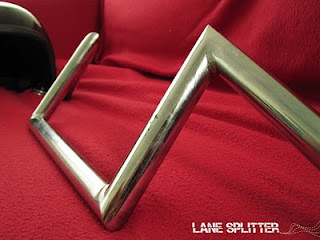 Pinstripers at work: MAZE vs. Jeral Tidwell from The Pixeleye on Vimeo. 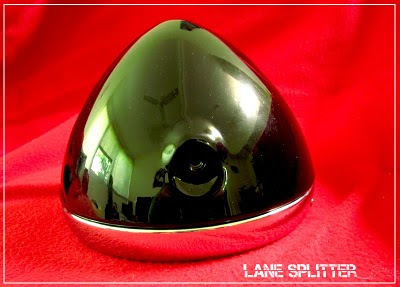 Well managed to finish up the Devil Cap, only put a couple of layers of clear on this one. 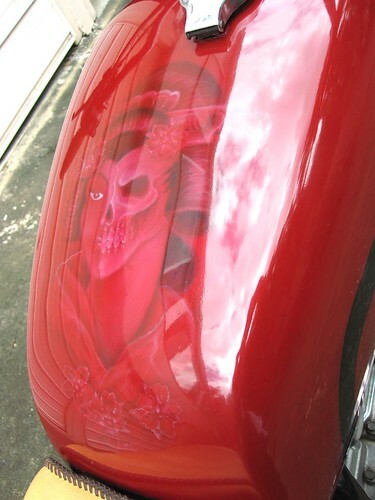 Painted the devil with the water based AutoAir and the 666 on the side with oneshot. Wanted to try the gold leaf but couldn't find any gold size nearby. Picked up a new set of Z bars on the weekend a bargain price. I'm not one to turn down a bargain so I snapped them up immediately. Not sure if I'll use them though but would we good to have them as an option. 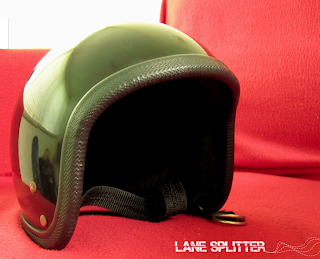 Also picked up a genuine Harley Davidson skull cap in good condition. However I won't be wearing it, not because it doesn't have the OZ standard but because it won't fit my massive boofhead, it'll just give me something else to paint. We have our curbside collection happening at the moment, and I should be really getting rid of items as apposed to collecting more. I rummaged through my garage and couldn't find a single thing to throw out. Apart from choppers and bobbers, when you see a really nice build it's the tank and tail that stand out as the key element for obvious reasons. Besides being a part of the bikes ergonomics it gives the bike it's flow with it's line and form. I thought I'd just focus on the tails sections this time, as if you're trying to build something to a budget, the tank in most situations will remain. There are a number of directions you can go with a tail section. These are my observations anyway so take them with a grain of salt. 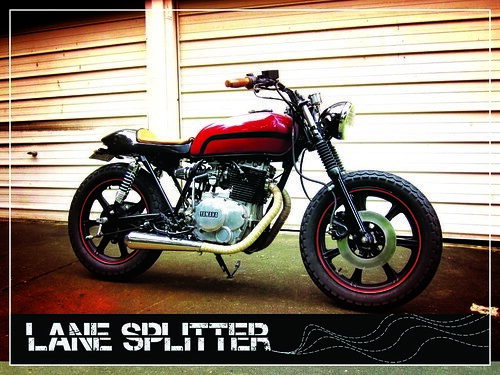 Pretty common for cafe racers. Great shape for storage especially for electrics, and a small tool kit. 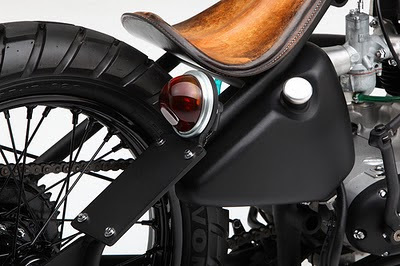 Most are built with an integrated tail light. 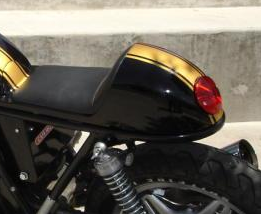 An example of an integrated tail light with what looks like a separate seat pan. Inspired from the original dirt trackers. Long tracker seat with a rolled leather seat. 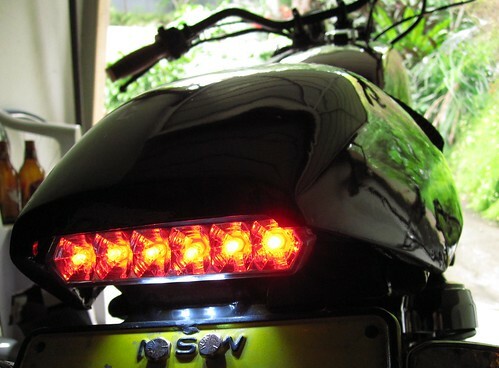 Integrated tail light. Classic tracker shape with a thinly padded seat. 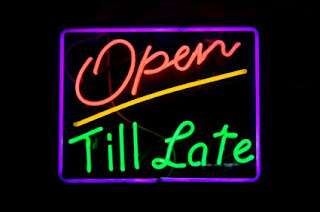 Get your hemorrhoid cream ready. 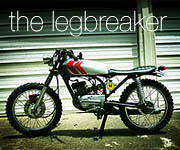 Seat of the dirt track xr750. Has the seat cover attached over the tail, have seen some with the number plate covering the frame triangle to hide the electrics. Flat seat often found with a rear frame loop. Also seen on street trackers. 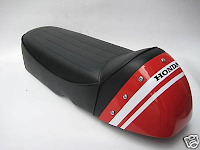 I really like the rolled leather look, also good for two up riding. 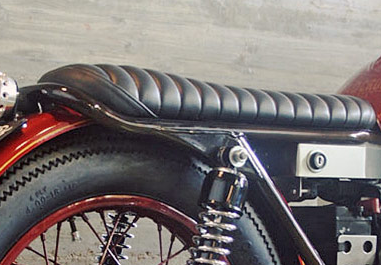 Looks like a nitroheads seat with indicator tab welded onto the frame loop. This is very broad overview on the different styles. If anyone has any other subcategories let me know. Didn't add the bobber or chopper styles as they normally feature a single seat and fender. The switch kicked and running. For everyone that wanted to see and hear the switch running and being kicked here it is. As we mentioned in the add, we haven't done any work on the engine. It kicks over first or second kick without any hesitation. 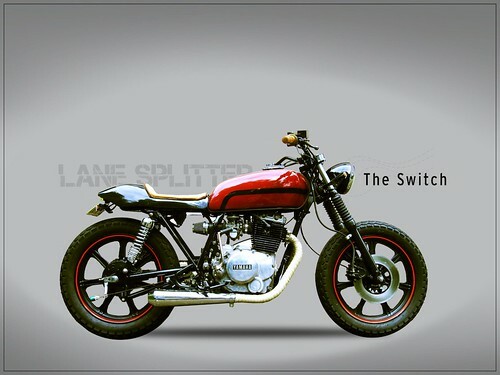 While the Switch has been for sale we've had a few enquires for some of the parts we've used. Have just created a small shelf of small pieces that can help with a tracker build and what we had used. 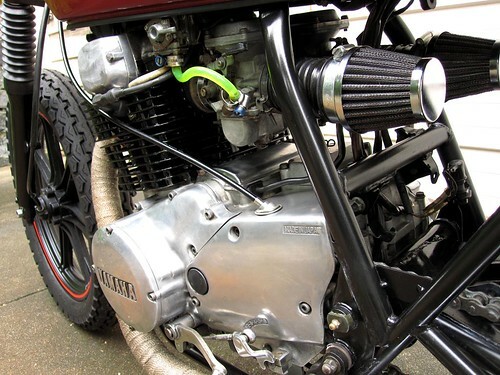 Most of the items are universal so if you've got something other than a little xs250 then it shouldn't be a problem. 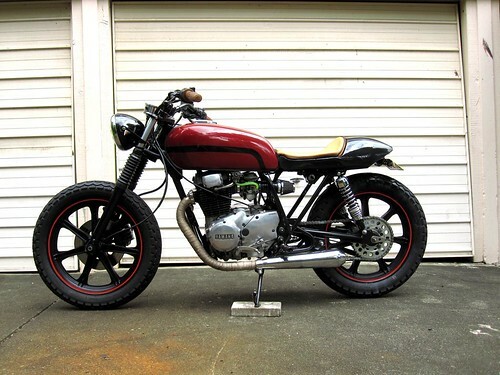 We'll we've decided to put the XS250 project up for sale to finance another project. Much blood sweat and beers, I mean tears have gone into this project. It's been like a wounded animal found in the outskirts of Ipswich by the side of the road that's been nurtured back to health... and now it's time for it to be released back into the wild. New front brake pads and clutch cable. I'd probably say I'd like to see it in the great escape. In essence it was the case of life imitating art, with us giving the xs250 the great escape from Ipswich. Every time I go to Ipswich it makes me question why I went there in the first place. The only difference was that we didn't need to jump over any fences only the imaginary boundary that separates Ipswich from the rest of the world. Quick poster I made up starring The Switch. Well after a few months of natural disasters sweeping across our state team paddington managed to pull their fingers out and get the switch up and running. Kicking it over for the first time brought a tear to my eye. Not because it fired up for the first time in years but because the kicker recoiled into my shin. The twin let out a growl and plateaued into what only could be described as rhythmic burble. I was surprised how well it ran without any tuning whatsoever. The clutch needs some adjustment, but other than that it's almost ready to get a Roadworthy certificate. 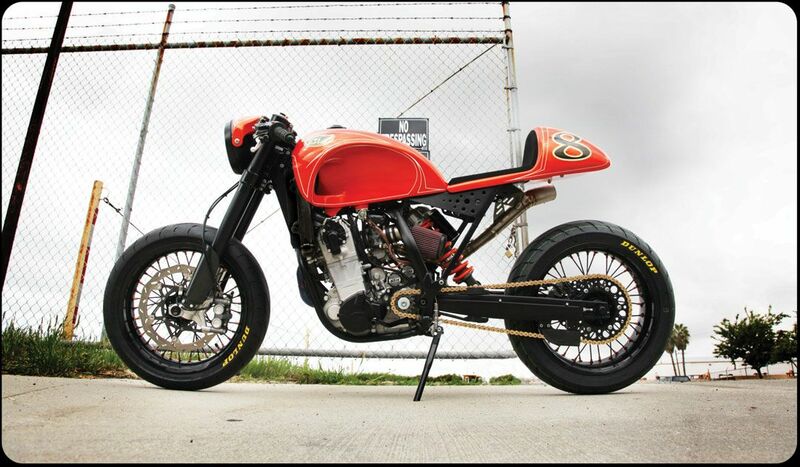 We'll need to add a couple of things for it to pass such as a front fender and a chain guard. Ever since Harley introduced the XR1200 back in 2008 I've always been interested to see what owner and builders would do with this nice piece of machinery. 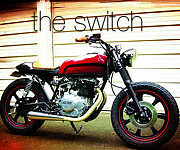 Even though it's styling takes cues from the XR750 I felt like it never really hit the mark. 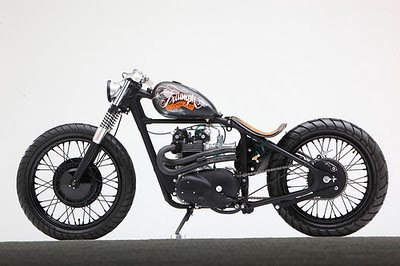 There were a couple of design aspects that needed a little tweaking to make me want to go out and buy this bike. First of all I think Harley made a great decision to come out with a bike like this. The change up their image and appeal to a different target market. 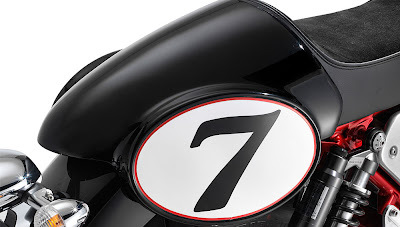 As was similar to the Harley Davidson 48 that was also recently released. A few things I would change if I ever had an XR1200. 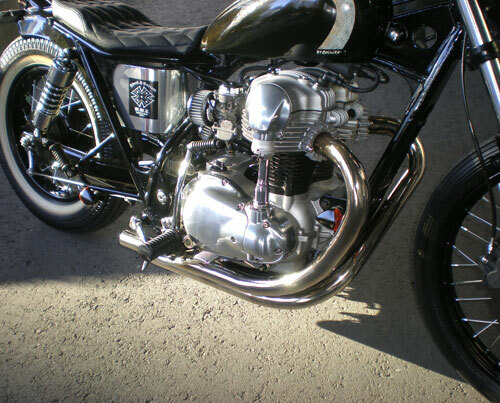 Exhausts - I think they need sit higher and more parallel with the rest of the bikes lines. They look like they've been an afterthought of the overall design. After reading some reviews it still seems like the pipes will drag if you try and get your knee down. 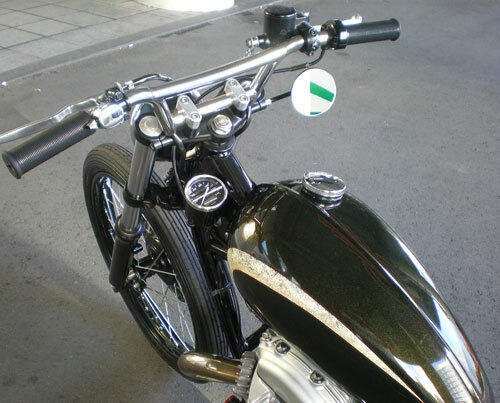 Remus make a good 2 into 1 exhaust and BUB make a loud tracker style setup. I think it's got a little too much booty. I prefer my tail sections slim. Wheels. I think they should have gone for some spokes. I like spokes and plus you can always bling them up with spokey dokes. I know Stortz have a conversion kit to turn your regular Sporty in a tracker but they also brought out some nice parts to enhance your XR1200. Below is a photo of their show machine, notice the BUB pipes. 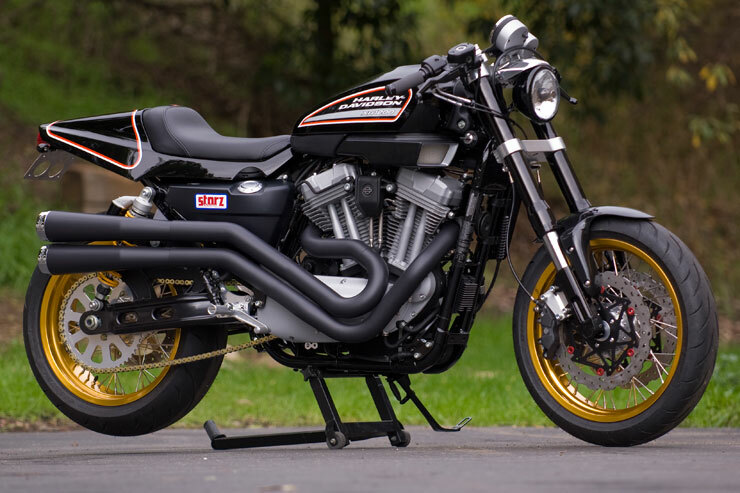 Here are a couple of other examples of custom XR1200s. I think my favourite has been the one Roland Sands took apart. 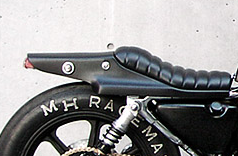 The thing with Roland Sands's bike was that there were heavy frame modifications whereas most of these examples have been with "plug and play" parts. 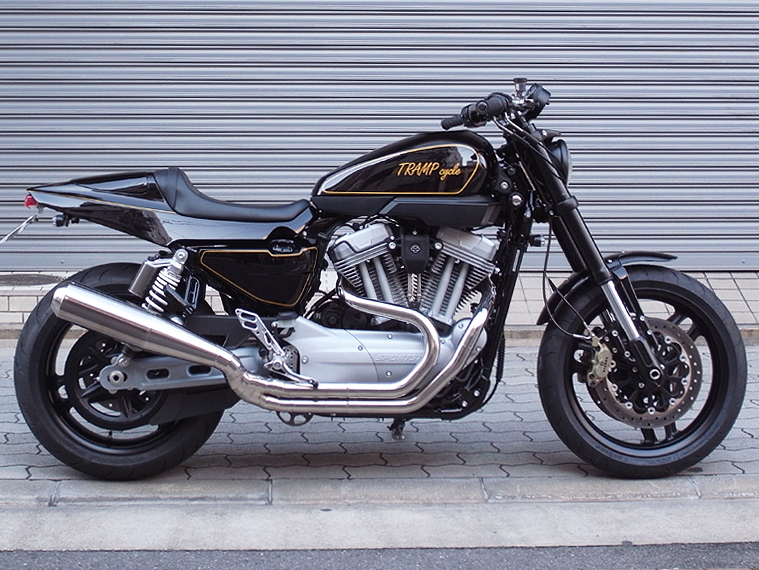 Custom XR1200 with the Remus 2 into 1 pipe. 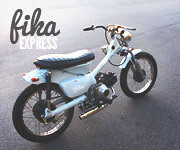 Stumbled across this video on vimeo and noticed it was footage of some guys modding a SR250. 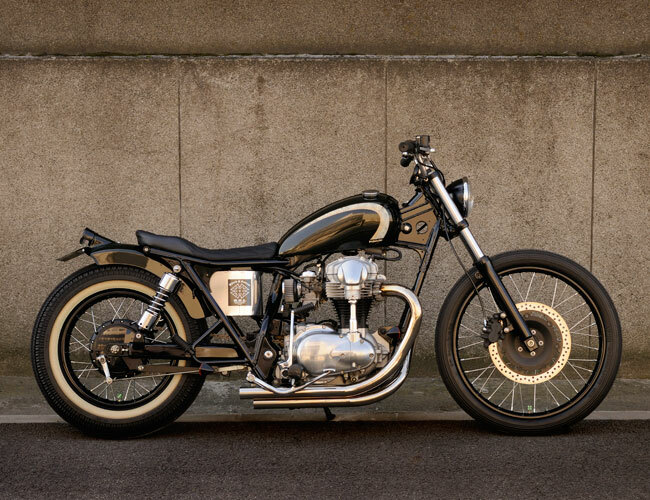 I'd seen this bike before on a couple of other motorcycle blogs. It belongs to a custom motorcycle shop in Spain I believe (that's what google translate tells me), called Cafe Racer Dreams. 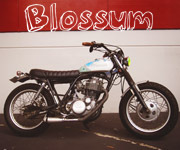 They have made some really nice bikes including the one in this video called Just4Girls. This is a great vid with equally great music. I'm glad that the dodgy heavy metal is being phased out as a soundtrack to a motorcycle video. Cafe Racer Dreams II from Daniel Fidalgo López on Vimeo. 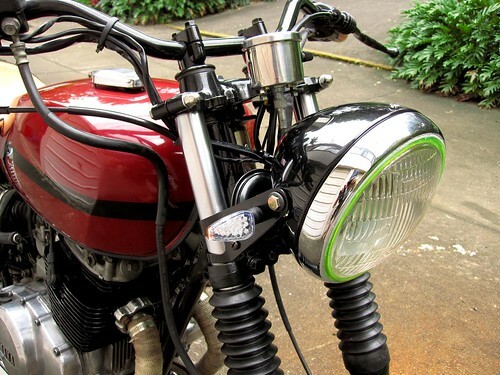 The bearer of all things parcely just delivered the headlight bucket for the XS250. I'm very impressed with the quality and bits and pieces that came with it. Steel shell, powder-coated gloss black.